Schedule an Advising Appointment...students must meet with or talk to their advisor prior to enrolling each semester. Visit the Course Schedules for more information. 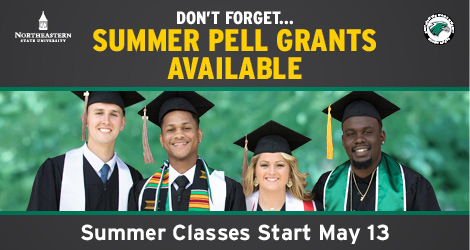 Summer and Fall 2019 course schedules will be available for viewing on March 11. NSU employs a shared model of academic advisement that allows for comprehensive and continued review of a student's pursuits throughout their academic career using professional advisors and faculty mentoring. All new students must receive academic advisement upon admission to Northeastern State University. Academic Advisors in the University Advising Center serve first-time freshmen and undeclared students to assist them with acclimation to student life and to ensure enrollment in appropriate general education coursework. Academic Advisors in the Colleges (Business & Technology, Education, Liberal Arts, Science & Health Professions) serve declared undergraduate majors. Each college employs full-time professional advisors on both the Tahlequah and Broken Arrow campuses. The advising focus is on providing academic information and assistance to students declared in the colleges' majors, helping students navigate all aspects of the major, beginning with prerequisite program requirements and ending with degree completion. Faculty Advisors serve declared undergraduate majors and graduate students in the appropriate discipline, focusing on career advice, internship opportunities, research opportunities and future academic pursuits. Faculty mentors have in-depth knowledge of their field and are the best resource for expanding students' understanding of the discipline.